Modern time is time of computers and computer has many helpful effects on our daily life. The latest feature of the computer is laptop and laptop has the facility with the system of portability. Ultrabook is a special type of the laptop. The thinnest model of laptop, with some additional configuration is known as ultrabook. Sony is a leading brand in every electronic product and in case of laptop it is Sony VAIO. Laptop is one electronic gadget that is essential for a household or workplace. It is a portable computer and is very useful which makes life very easier. Laptops are generally light weighted and good for people who are constantly out on the run. An average life tenure of a laptop is much lesser compared to a desktop if regularly used. Laptops are more convenient to use and are packed with all modern software’s available in the market. If the question arise on style and colour combination, then the name of Sony VAIO will come in the first row. These laptops are very trendy and smart. It provides there consumer’s most pleasurable feeling of using it. The design is made to fit perfectly in our palms. The size of the laptops are very compact which is made to travel and can be easily fitted with one luggage or a carry bag. They come in bright multiple colour choices which are very bold and flashy providing a total fun filled package making it perfect for any event. The quality of the battery backup is very much up to the mark. Simple, easy and mainly it doesn’t get heated up after several hours of use. Sony used Lithium-ion batteries which are lighter in weight; give a high energy density which will prevent one from frequent recharging. 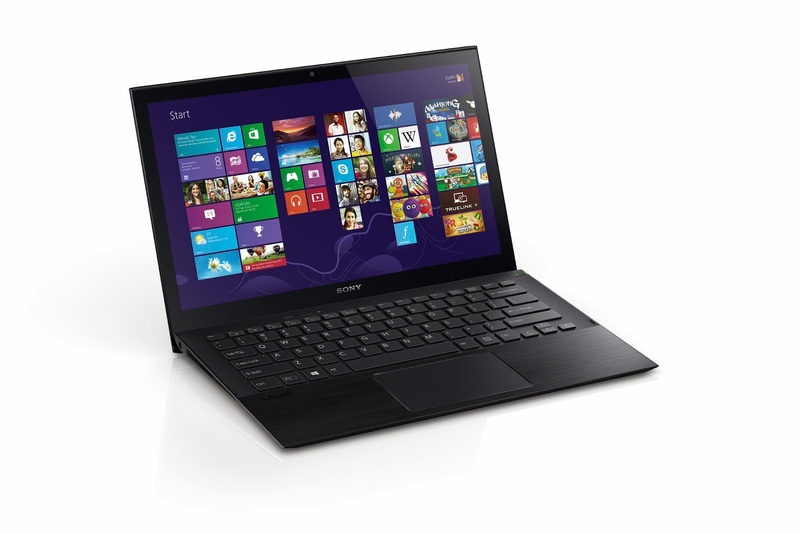 Sony laptops are very durable and packed with the modern day features like windows 8 and Intel 3 generation processors. Though it’s not suitable for playing thigh end graphics and 3d games but has a good quality integrated audio system, it works smoothly and the rebooting is fast. Perfect gadget for travelling purposes and looks very fashionable. The laptop provides social apps, one touch connections, VIAO movie creator, play memory home software and more. Sony ultrabooks varies from Rs54, 830 to Rs78, 254.The price range differs with different specification and updated software’s available with the laptops. All of the ultrabook laptops are packed with modern software’s and features like window 8, USB port, WI FI connectivity and more. Best advantage is its light weight and for travelling purposes. It’s built for business oriented works though it can be a little downer in the high end gaming sector but overall performance according to its price is pretty good. So try this product once to get a new experience. Sonia is an eminent author who provides concrete information about latest Sony ultrabook laptops features review for helping selection laptop to online shopping users.